Founded in 1938, St. Joseph Catholic School is home to over 280 students from Kindergarten through Grade 7. We offer a quality, faith-based education that emphasizes high academic standards and the virtues of kindness, honesty, and service. Our dedicated teachers embrace the philosophy of Whole Child Education and encourage students to think critically and creatively. We provide a supportive, caring, and safe environment where our students are inspired to reach their full potential. 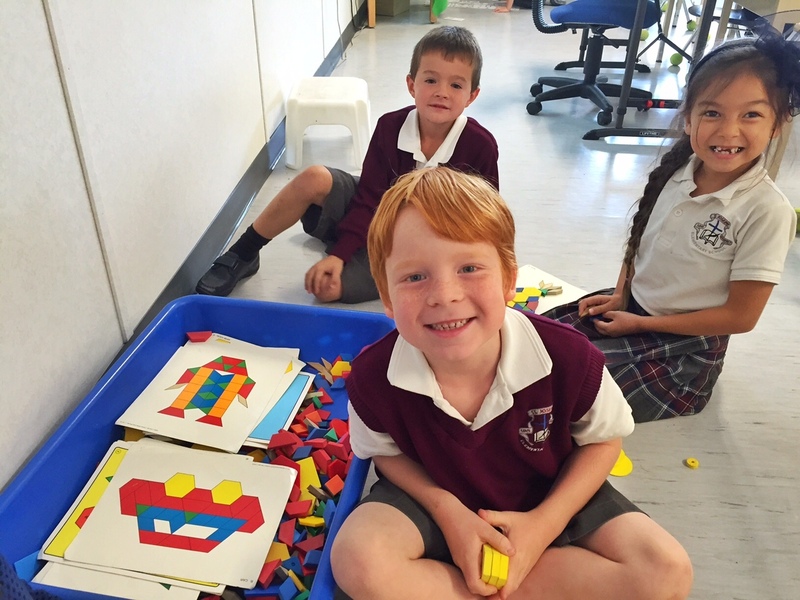 As a Group 1 Independent School, St. Joseph follows the curriculum requirements set out by the BC Ministry of Education. In addition to these standards, we strive to enrich the learning experience through extra-curricular activities and expanded programming. Does my child have to be Catholic? No. St. Joseph is inclusive and welcomes all who genuinely seek to be part of the life of the school and wish to share in a vibrant, well-resourced learning environment based on Catholic faith and values. Our mission is to foster the development of the total child in spirit, mind and body. Through Jesus, we encourage the pursuit of excellence in a community of love and respect. by preparing students for the world of tomorrow. The special character of the Catholic School – the underlying reason for it, the reason why Catholic parents should prefer it, is precisely the quality of the religious instruction integrated into the education of the pupils. Preparing young people to make a positive impact on the world is something taken very seriously at St. Joseph Elementary School. Accordingly, every effort is made to participate in events and interact with the community outside our doors in order to foster a sense of giving, responsibility and civic pride. Our good intentions are only amplified by practicing good works. We participate annually in the Terry Fox Run, Jump Rope for Heart, and Canstruction. Our families prepare shoeboxes each December for Operation Christmas Child. Students make regular visits to Seniors’ Residences, playing bingo, doing crafts, and singing carols at Christmas. Our Junior St. Vincent de Paul group collects food and toiletries for those in need. Grade 7 students work with previous alumni to provide a home-cooked meal for residents of Inn From the Cold. Students in Grades 4 to 7 have an assigned ‘buddy’ in a younger grade - spending time with them throughout the year, mentoring, and working on special projects. Grade 6 students are responsible for Kindergarten lunch time supervision. All students participate in our Social Responsibility Program - cleaning hallways and classrooms and taking part in the maintenance of our school. Grade 7 students are required to complete service hours each semester by volunteering in their church and community. These are only some of the ways we work to be ‘out there’ and behind the scenes of our community, hopefully teaching our students and that by giving of their God-given gifts and talents they are improving both the world and themselves. Spiritual growth does not happen by accident. It is something that must be worked at each day. At St. Joseph Elementary School we recognize the importance, and necessity of working our Faith into the daily life of our school. Making the Father, Son and Holy Spirit a part of our lives, and the lives of students each day, is one of the most important jobs we have at St. Joseph Catholic School. Some of the most delightful moments in the life of the Church happens when parents bring their children to the church for Baptism. Having completed their Baptismal preparation, and accompanied by their families and friends, the parents of the child formally requests that their child be baptized. The Church joyfully accedes to this request. However the Church wants the parents to make a promise that they would bring up this child in the practice of the faith. This promise is so important that the Church wants the godparents also to help the parents in their duty as Christian parents. After all the Church expects everyone to understand that Baptism is the first step in a long journey. The child must be in a position to receive the other Sacraments also in due time. For this to happen education in faith, both by word and example is vital. That is why the Church elicits this promise from both the parents and the godparents and reminds them of their serious responsibility. Parents and godparents remain true to their promise by having their child enrolled either in the Catechism programme of the parish, or as is more common, by having them in the Catholic School system. By establishing and administering schools and colleges the Church helps the parents fulfill their promise and discharge their duty as Christian parents. The very heart of the Catholic education system is simply this; the Church, the teachers and the family all working together nurture the faith of the young and helping them to grow in age, wisdom and God’s favour. My heartfelt appreciation to all of you parents, who have kept the promise you made at the time of your childrens’ baptism. Please continue to show your children by word and example how important faith is to you, so that they may be gently guided and led towards Jesus, Our Lord and Saviour! The Board of Directors of the Catholic Independent Schools of Nelson Diocese (CISND) is a ten-member board that governs all Catholic schools in the diocese through policy development and fiscal planning. The Board directs local School Councils to assist them with certain aspects of school governance. The President of CISND is the administrator, Bishop John Corriveau, OFM Cap. The Superintendent of Catholic Schools, Mr. Arthur Therrien, is the Chief Executive Officer of the CISND and his role is to implement the policies of CISND and oversee the educational operation of all schools. The Federation of Independent Schools Association (FISA), of which the Catholic schools are a member, is a liaison group between the government and the various independent school groups. The role of FISA is to lobby government and other groups to promote and support independent schools. The Council consists of parish representatives and clergy who set local policy and determine budgets for St. Joseph Catholic Elementary School; it is responsible to Catholic Independent Schools of Nelson Diocese (CISND). Through the Independent Schools Branch, the ministry ensures that standards are maintained in educational programs, staff qualifications and facilities. Ready For Your Child To Discover Their Potential?